During my first thru-hike of the Pacific Crest Trail, in 2013, I wrote a blog post for each day. 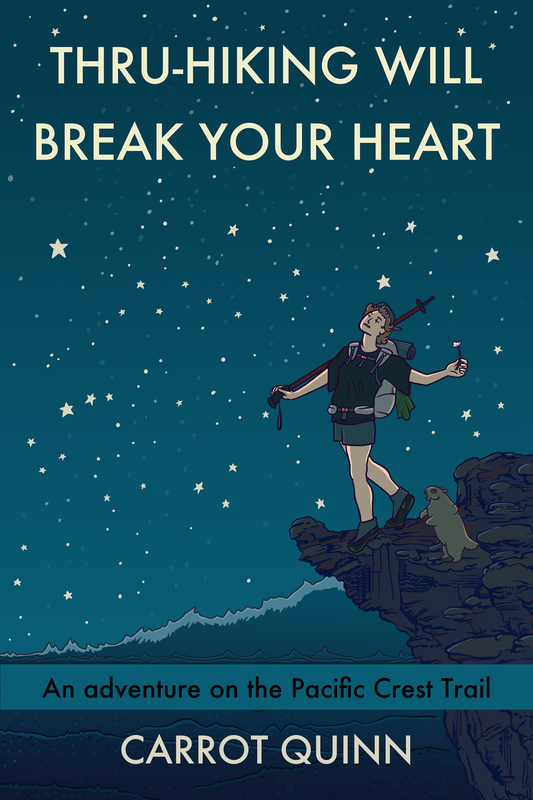 I’ve since written a book about that hike, called Thru-Hiking Will Break Your Heart. You can see the book on Amazon here. Since the book has been released, I’ve removed most of the content of the original blog posts, in order to protect the privacy of some of the hikers in the book and also per my content agreement with Amazon. I’ve left the daily mileages and the photographs in each post, however, so you’re welcome to check those out. I’ve also left the posts I wrote after the trail. Day 20: Our First Swim! Day 24: What’s the Antonym for Disappointment? Day 107: Burnin’ Up and a Video of Coyote Noises! Day 128: Vamos al Rio Columbia! Day 136: Every. Single. Night. After the trail: Hitching Back Into the U.S. I don’t like this list. This makes it easier indeed. Thanks for your efforts. Sad to see it nearly the end of the journey though. Awesome entry in the border log book!!! Hoop Dreams pointed me toward your blog, and I’m glad she did – the writing is amazing. I am now going to sit here and consume it all, trying not lose myself in a feast of joy and loss. Thank you for providing this list! Very helpful! Thanks for sharing your epic adventure! I enjoyed every minute of it! Another heart-breaker is reaching the end of your PCT 2013 blog! Thank you, thank you, thank you for sharing your experience with us! I ran across your blog researching whether I should wear Brooks Cascadias on my JMT hike this summer. I read a couple of your posts from the Sierras and realized I had to go back to the beginning and read every post from Mexico to Canada. You are such a beautiful writer…can’t wait for the book!